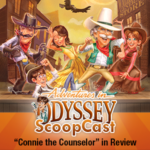 It’s a small-talk edition of The Odyssey ScoopCast as Kevin and Garrett continue their interview with Adventures in Odyssey’s Kimmy Robertson (voice of Penny Wise). Join them as they talk about voices, characters, oranges (oranges?! ), and the value of Adventures in Odyssey. 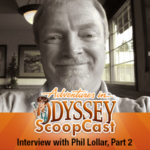 Listen to our latest edition of The Odyssey ScoopCast and learn how to subscribe via your favorite podcasting software here. And stay tuned. Our interview with Kimmy isn’t over yet!